J. Roddy Walston & the Business. Friday, Doors Open at 8 p.m., Jefferson Theater, Charlottesville. 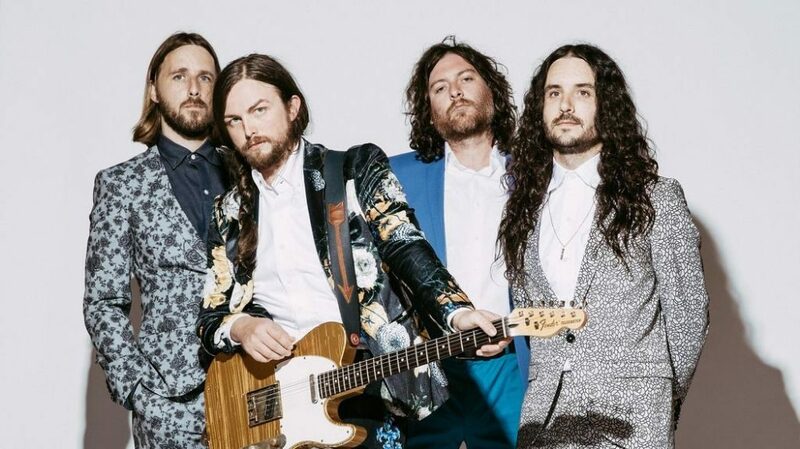 In defining J. Roddy Walston & the Business is an All-American band, not just sonically, but in the ways that they capture and encapsulate place and time. Walston, a Tennessean, notes that the Southern lifestyle serves as an infinite inspiration for his music. “It’s my experience that Southerners are fully interested in the worlds of philosophy and science and spirituality and nature, but with a take on life that’s softer and slower. The South has a pace that’s based on patience.” The group mashes together sounds and genres that would normally clash to create a scrappy yet sublime sound that honors both their Southern roots and punk spirit. See them play songs off their critically lauded 2017 album, Destroyers of the Soft Life! 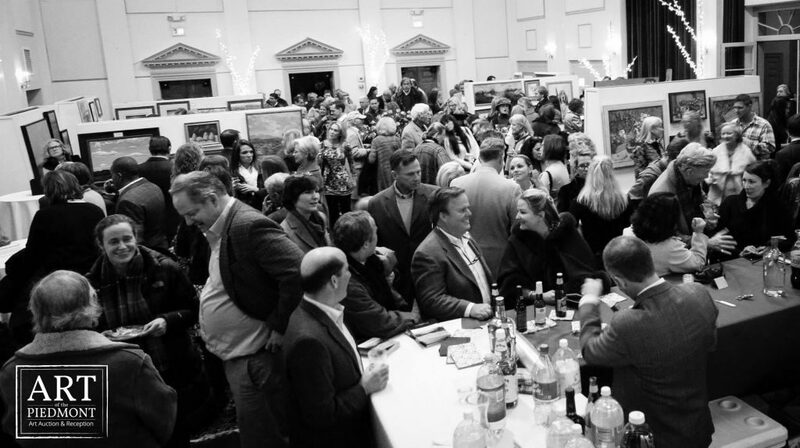 7th Annual Art of the Piedmont. Friday, 6–8 p.m., Community Center, Middleburg. The concept of an art auction featuring and celebrating local artists seemed like the perfect way to raise funds for Middleburg Montessori School which had just transitioned itself as an official non-profit. Their ideals of nurturing independence, a zeal for learning, and a penchant for diversity translated perfectly into the ideals that drive any artist. Whether you’re looking to find the perfect piece to hang above the fireplace or are looking to interact and converse with local artists, this is a perfect time to support the Piedmont’s art community. On display are works by painter Kevin H. Adams taken from his sojourn in the Shenandoah National Park, photographs by Brittany Beiersdorf Ross snapped while in the mountains of Mongolia living with a falconry prodigy, pastoral scenes from Tom Neel, Julie Miles, Seth Hill, and much more! Final Weekend: Dead Man’s Cell Phone. Various Showtimes Thursday–Sunday, Klein Theatre at University of Mary Washington, Fredericksburg. A cell phone rings in a quiet cafe. Unable to stand the incessant ringing at a nearby table one second longer, Jean answers the phone and makes a fateful discovery. 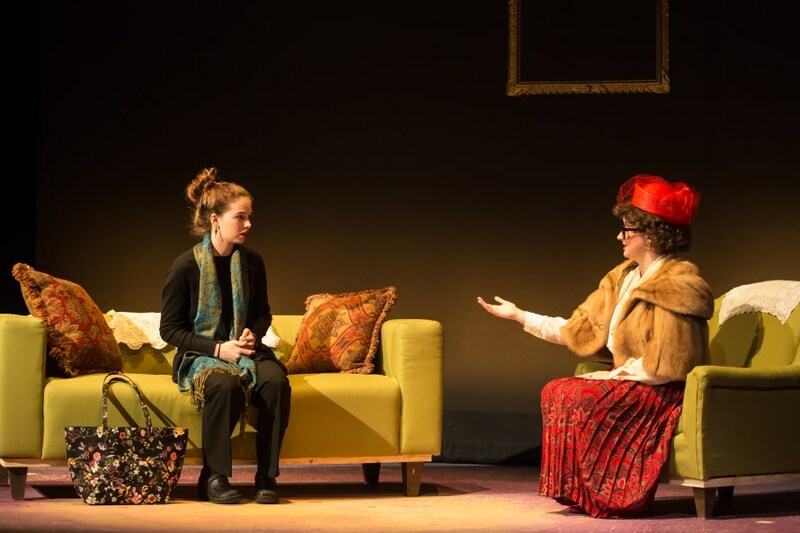 Suddenly and unwittingly, she is obliged to deliver some inauspicious news to Gordon’s callers while playing comforter and counselor to those he left behind. Zany, unexpected, and gorgeously lyrical, Sarah Ruhl’s Dead Man’s Cell Phone affirms the vivacity of life while wrestling with how our beloved technologies both bind us together and isolate us from the people we love. Variety hailed this production as “a fresh and humorous look at the times we live in.” See for yourself! Conductor Jason Love: Shostakovich and Chaplin. Saturday, 7:30 p.m., Riverside High School, Leesburg. Help Loudoun Symphony Orchestra in their search for a new conductor! 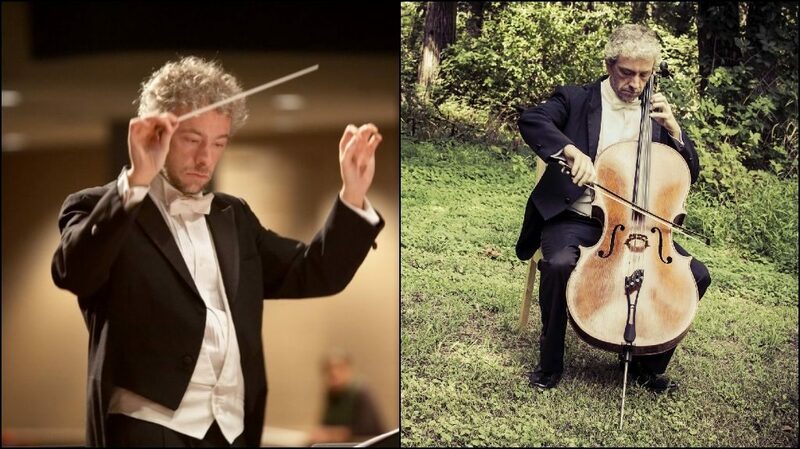 Jason Love, a concert cellist and conductor, leads the players through well-known favorites by Brahms and Shostakovich. Written in the wake of a rebuke from Josef Stalin, Shostakovich’s Symphony No. 5 is one of the most moving and dramatic symphonies ever written while the Brahms’ Academic Festival Overture is joyous and fun-loving. Catholic University composer Andrew Earle Simpson’s new score to the classic Chaplin short The Immigrant rounds out this eclectic program. After the performance, audience members can help choose the next conductor by providing feedback on the concert through a brief survey after the concert. 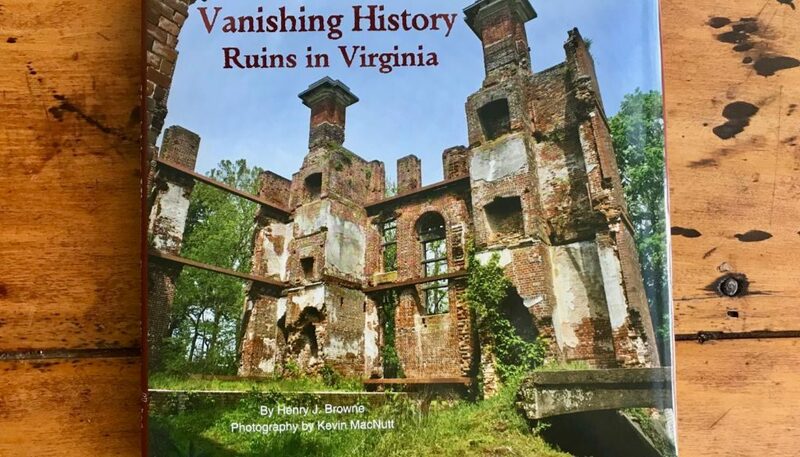 Author Henry J. Browne on Vanishing History: Ruins in Virginia. Saturday, 4–5 p.m., New Dominion Bookshop, Charlottesville. In this important book, the architectural expertise and lifelong vision of Henry J. Browne come together with Kevin MacNutt’s outstanding photography not only to honor the workmanship and ingenuity of those who came before us, but also to encourage honest reflection about the spirit of progress and the mark we ourselves will leave behind. Each of the 12 sections of this full-color book (clothbound with dust jacket) gives a historical overview, brief construction and architectural notes, and a sampling of striking images. Several dozen ruined structures in Virginia are featured, some dating to the 18th century. They include the cold kiln of Wheelbarger-Rumsey, the abandoned milling and slitting manufactory on Belle Isle, the haunting company house of Alberene, the crumbling furnace of Lucy Selina, the empty fireplaces of the Rosewell, Barboursville and Ambler mansions, the decaying train depot of Fort Defiance, the half bridge of Mt. Meridian, the ageless beauty of the Folly Mills viaduct, the dark doorways of Rockbridge Alum Springs, the quiet gravestones of Wash Woods and a new model for historic preservation, Menokin. Martin Sexton. Friday, Doors Open at 6 p.m., the Southern Café and Concert Hall, Charlottesville. Syracuse native Sexton got his start singing in the streets and subways of Boston in the early ’90s. Still fiercely independent and headlining venues from The Fillmore to Carnegie Hall, he has influenced a generation of contemporary artists. Chances are, you’ve heard one of his poignant ballads in a TV show or movie that you love. 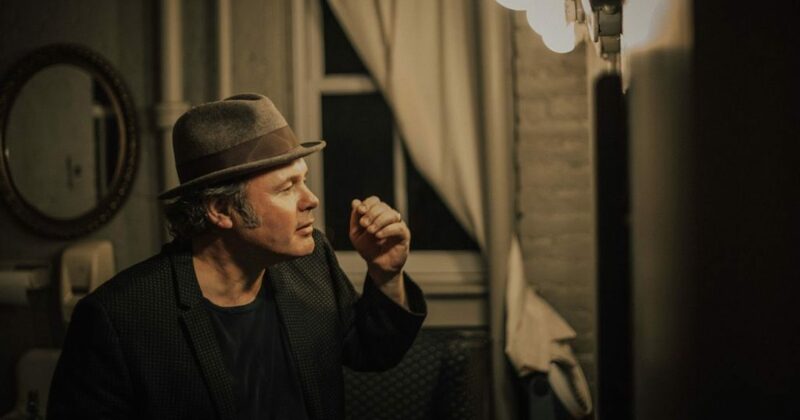 His incendiary live show, honest lyrics, and vocal prowess leave listeners enthralled by his “soul-marinated voice” as Rolling Stone so eloquently put it. Thanks lady! That pizza totally has my name written all over it ? ThePiedmontVirginian,thanks for the article post.Really thank you! Great.